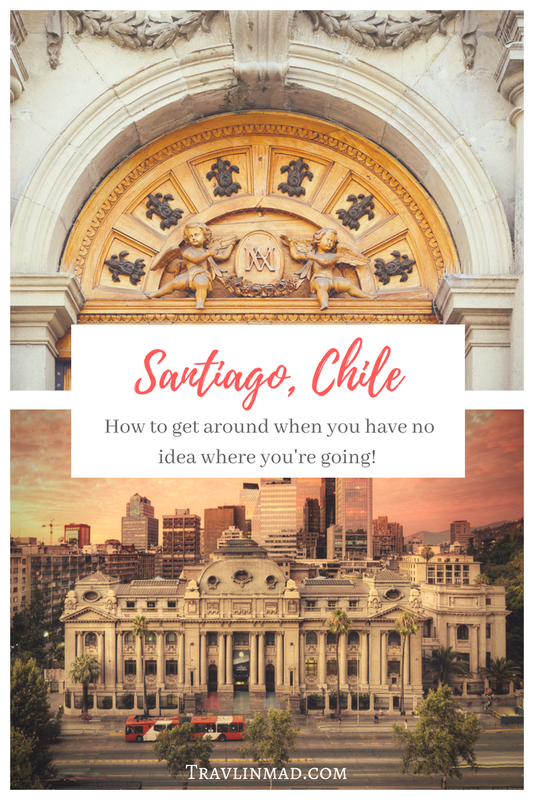 How do you navigate an enormous sprawling city like Santiago, Chile as a first-timer when you have absolutely no idea where you're going? As independent travelers, we all want to avoid anything that screams "I'm a tourist", right? But let's face it - unless we actually live there, we're all tourists, are we not? We get it. 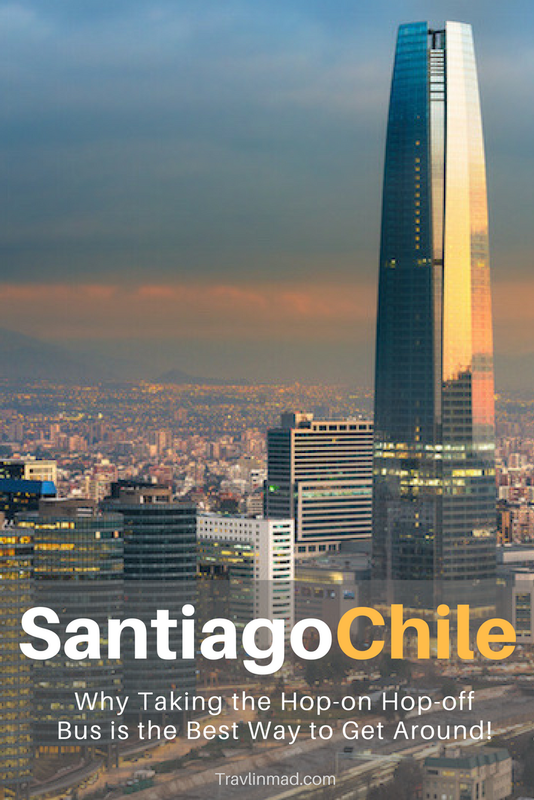 Santiago, Chile is one of the largest capital cities in Latin America - the fifth largest to be exact. Nearly 6 million people call it home. It lies at the center of Chile's fertile Central Valley just an hour from the Pacific coast and the port city of Valparaíso. It's the largest urban area in the country between two extreme and famous landscapes of the Atacama Desert to the north and Patagonia at the southernmost region. But don't let the size of Santiago dissuade you from visiting and exploring the city on your own. It's a vibrant city, with incredible history and culture, fresh food markets and funky arts communities, brilliant architecture and an abundance of green space even within the bustling downtown districts. You'll see people actually enjoying themselves and living downtown, not just hustling back and forth to work. Turistik isn't a tour (though they do give private tours), but rather it’s an organized "tour loop"
The fee allows you to hop in and out of the loop all day long, wherever and whenever you want! Just look for the Turistik signs throughout the city. The service operates daily from 9:30am to 6:00pm but check for changes at some stops on holidays and Sundays. How Does the Turistik Hop-On, Hop-Off Bus Work? The Turistik buses are bright red double-decker buses (think London or Madrid), that are well-marked and pass each of the 13 Turistik stops along the route every 30 minutes. The stops are clearly designated, and we never had a problem moving on to whatever interested us next or getting back to our starting point. Stop #1 was located at the Parque Arauco Shopping Center and we hopped-on there to begin the tour. The agent at the ticket counter directed us to the bus stop where another agent was waiting. This is a great help as you don't have to worry about getting on the wrong bus. Turistik gave us a good overview of Santiago so we could discover where we wanted to explore further, and we didn't have to wear ourselves out hoofing it all around town or spend a small fortune taking cabs. Driving in traffic can be so stressful! It was so nice not to constantly have to figure out where we were in traffic or what street to turn on next. In fact you never have to get off if you don’t want to. You can sit back with the complimentary headphones plugged in and just ride along listening to the pre-recorded narrative while taking in the sites and seeing a good bit of the city. The vantage point from the upper deck gave us a great perspective of the city as we moved along. You can get on and off the bus at your leisure, all day long if you want. There's actually so much to see along the entire route, it would be hard to get off and explore at every stop if you only had one day. So do a bit of research for yourself. Pick where you want to stop and how much time you want to spend there. We did this the day before and it made traveling the circuit that much more enjoyable. We wanted to explore the Barrio Bellavista Santiago, the Plaza de Armas, and the indoor fish market at the Mercado Central. All three gave us distinct areas we could explore, so check out the Turistik brochure ahead of time and pick the areas of the city that appeal to you. Barrio Bellavista has long been known as Santiago's bohemian quarter with its cafes, galleries, colorful boutiques, and shops. It's also known for a vibrant nightlife but unfortunately we were here in the middle of the day. Even so, there was plenty to see and do. Music seemed to come from all directions and the outside cafe tables on tree lined streets are great places to just hang out with a coffee or cold drink. The outdoor mall area of the Patio Bellavista Santiago is uber popular, but if you want a more authentic local feel, it’s one of the coolest things you can do in Santiago. You'll find plenty of artistic chic in the barrio! We hopped back on the bus and our next stop was the Plaza de Armas in the city's center and historic area. Lots going on here - people walking everywhere, other walking tours, students hanging out, and the hustle and bustle of people going to and from work. After an hour or so of wandering about just feeling the area and its history we were starving. A few blocks off the Plaza de Armas is the Santiago Mercado Central where we'd heard the indoor fish market was not to be missed. Among its many iconic foods, Chile is known for its fresh seafood, and we found it here in abundance. We chose one of the small restaurants on the outer perimeter on the advice of a friend versus the more touristy places in the center, and boy was she right. The place was competitive with maitre de's hustling everyone who walks by to come in and eat at their place. But it was all good natured and part of the ambience of the place. We loved it, and the seafood was so fresh and delicious. You can board the Turistik bus at any stop until 4:30pm and complete the entire circuit coming back to where you started. If you get a late start, no worries. Hop on a bus until 5:30pm and ride a few stops. The buses stop running at 6pm, so if you linger longer, you'll have to find your way back on your own. But maybe a cab ride at the end of the day back to your hotel isn’t so bad if you’ve found one of Santiago’s relaxing wine bars or a nice restaurant for dinner. Either way you can mingle with friendly locals who gather after work for wine and tapas, and just relax. The Hop-on, Hop-off Turistik Santiago may seem a curious thing to do, but it’s a great way to explore a new city. We found new places we’d go back to and explore more, but it was a great way to discover Santiago! Turistik tickets are $33 USD and can be purchased in advance, at better hotels, or you can go to one of the 9 Turistik info centers located along the route. However, you must purchase your tickets in advance -- tickets are not sold onboard the buses! Turistik offers a bunch of organized tours – mainly wineries and restaurants in and around the wineries. Taking a organized wine tour is an excellent idea, especially now since laws surrounding drinking and driving have recently changed. Since March 2016, Chile law now demands a blood alcohol limit of 0.03 for drivers, which means you can’t legally have even one drink and then drive (they’re calling it “Tolerance 0”). This rules out hiring a car and doing it yourself, unless you have a very generous, very dedicated Designated Driver.